ISMT Limited has developed a range of specialized tubes for the manufacture of hydraulic cylinders. The steel used for the manufacture of these tubes is produced inhouse. The steel is produced through the electric arc furnace route, is fully killed and vacuum degassed ensuring a very low inclusion rating. As a result, cylinders produced from these tubes have a blemish free surface finish and a longer service life. Furthermore, these tubes are produced through the Assel Mill route resulting in very tight dimensional tolerances thus minimizing the requirement for final machining. Depending on the finishing operation to be used by the customer for producing the cylinder, ISMT Limited supplies hydraulic cylinder tubes in three different categories (Type I, Type II, Type III). 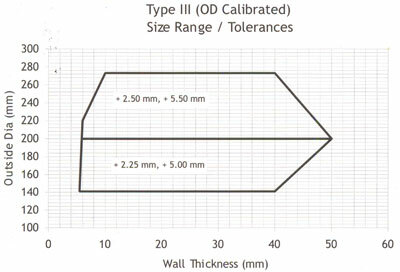 These categories are distinguished not only by the dimensional tolerances of the tubes but also by the excess material left for the finishing operation. Within each of these categories, tubes can be supplied from four standardized grades of steel. Alternatively, the company can make tubes from a customized grade of steel to meet the specific requirements of a customer. 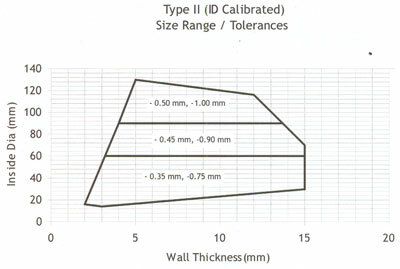 **Note : "S" can be controlled within 0.020 to 0.035% for better machinability if needed. Microstructure consists of grains of pearlite & ferrite. 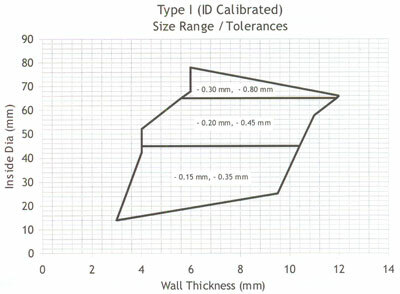 Grain size is checked in accordance to ASTM E112 and is No. 5 or finer. The inclusion rating is conducted in accordance to ASTM and is guaranteed to be better than 2.5A, 1.5C & 1.5D thick & thin series. Tube bore is free from isolated inclusions, which could leave pinholes after brushing or honing the inner diameter. Tubes are supplied in cut to length pieces (max 6 meters), as per customers specification, with a tolerance of (+5, -0)mm. These are precision tubes produced through a process of cold-pilgering wherein the tubes are heavily cold worked between moving dies (up to 70% cross sectional reduction) resulting in a very even surface finish and extremely tight dimensional tolerances. These tubes can be directly honed to obtain the final finish and dimension required on the bore surface. Consequently, these tubes are economically well suited for the manufacture of large volumes of standardized cylinders. 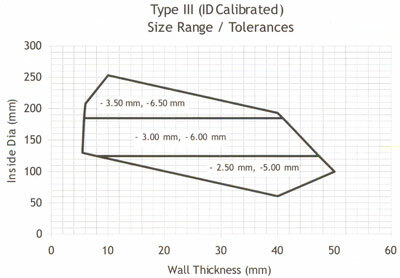 Straightness is guaranteed to be better than or equal to 1 mm per 1000 mm. 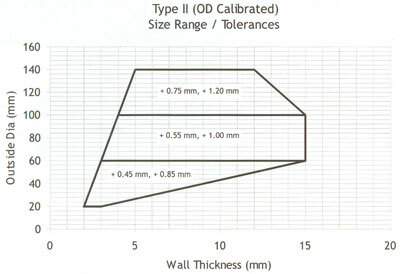 Ovality is guaranteed to be contained within the overall tolerances on the diameter. These tubes are cold-drawn and are suitable for the manufacture of hydraulic cylinders through a skiving and burnishing operation. Tubes supplied in this category have extra material provided for chip removal in the skiving and burnishing operation. These are hot finished tubes suitable for the manufacture of hydraulic cylinders where the inside surface will first be turned and then honed to obtain the finish and dimensions. Typically these tubes are used for the manufacture of large cylinders with heavier wall thickness. 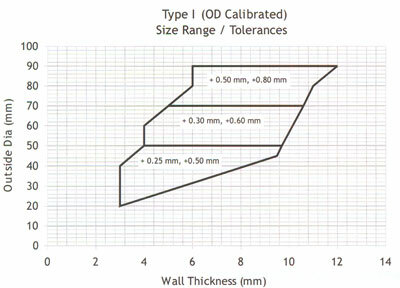 Straightness is guaranteed to be better than or equal to 1 mm per 600 mm.